This species is largely restricted to coastal Britain, but specimens have also been collected inland on sandy Breckland in East Anglia, and on heathland in Bedfordshire containing an outlying population of the coastal and Breckland pyralid moth Synaphe punctalis (I. Dawson). It occurs in Europe and Asia even in countries without any sea coast. John Murphy has collected a specimen on an open alp at 1400 m in the Pyrenees. Small and much more colourful compared with other British Zelotes species. 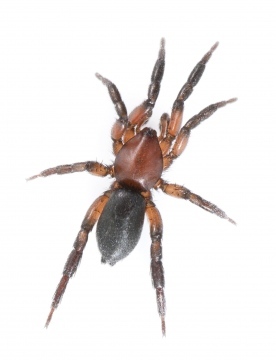 The spider is usually found when grubbing at the base of low vegetation in dunes, and even the specimens collected in the Breckland occupied a similar habitat. Adults of both sexes are found mainly from late spring to mid-summer, but occasionally into the autumn. An uncommon species in Britain with a specialised habitat. Although uncommon, this species does not appear to be threatened at present but erosion of dunes due to off-road vehicles could be a potential threat.